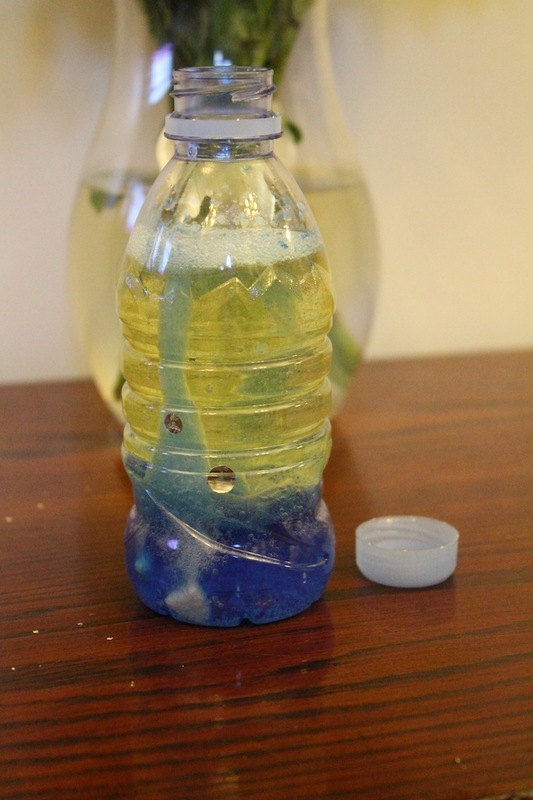 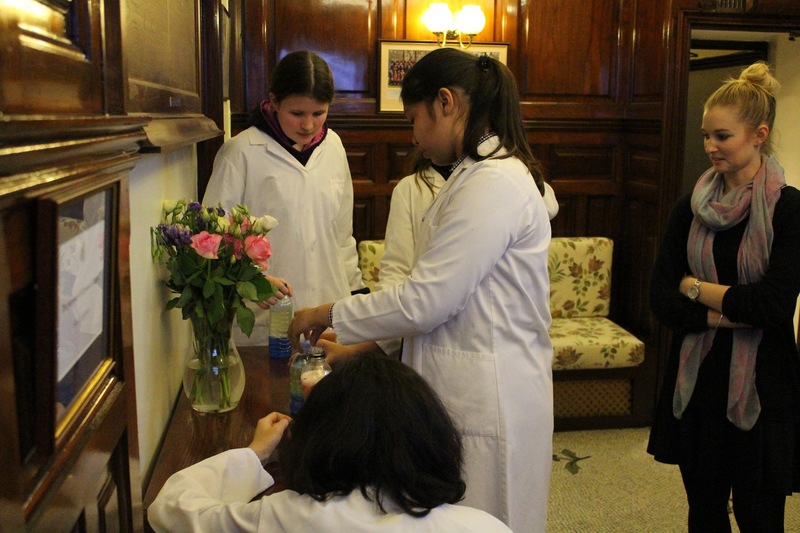 To make these fascinating lava lamps, the girls first added sunflower oil to water followed by a few drops of desired food colouring and sequins (for fun). 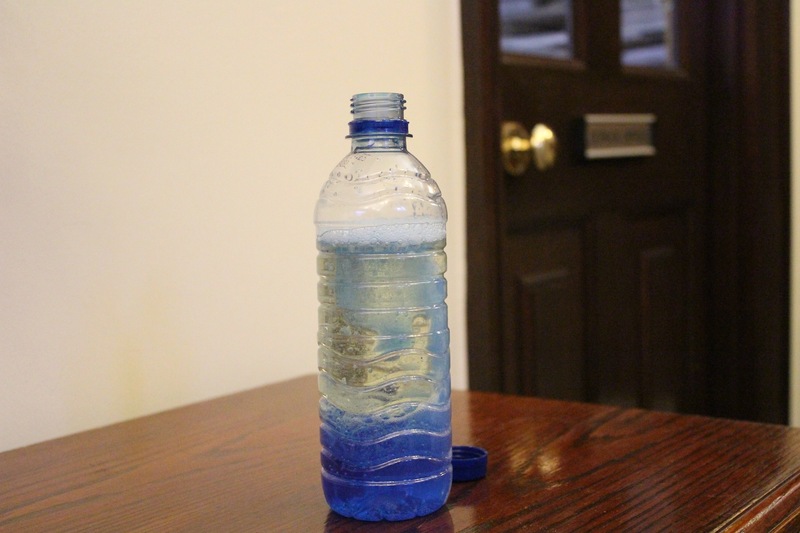 To make the bubbles, they dropped in small pieces of Alka Seltzer tablets. 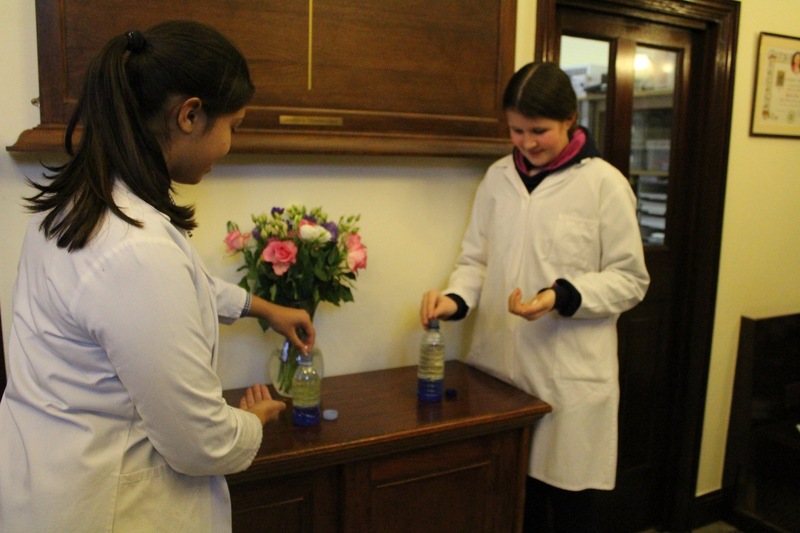 This can be repeated over and over – all you have to do is continue to put bits of alka seltzer in and there you have your lava lamps!